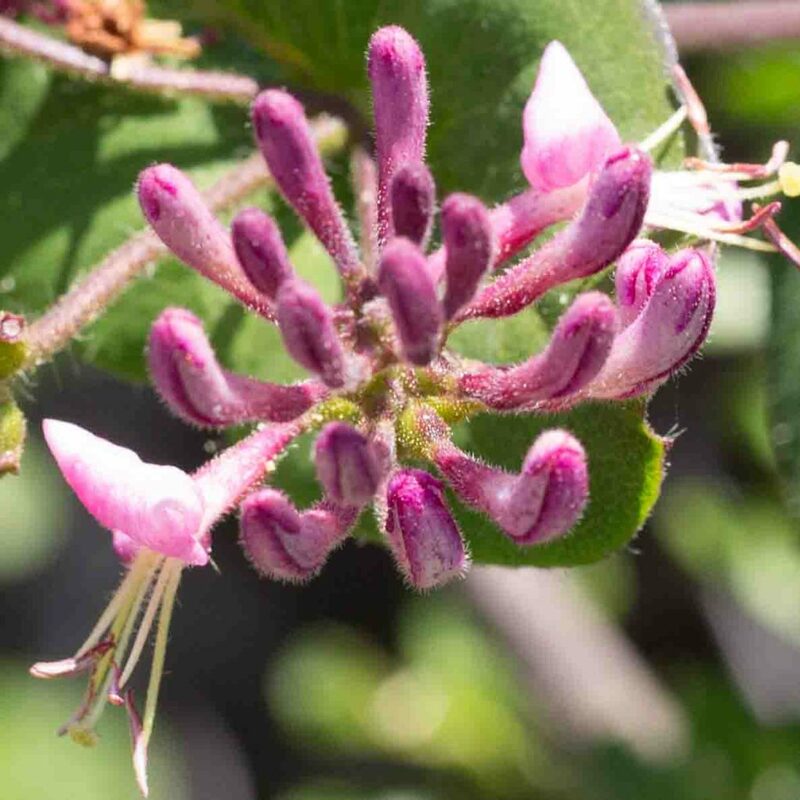 Much less common than Hairy Honeysuckle (Lonicera hispidula). 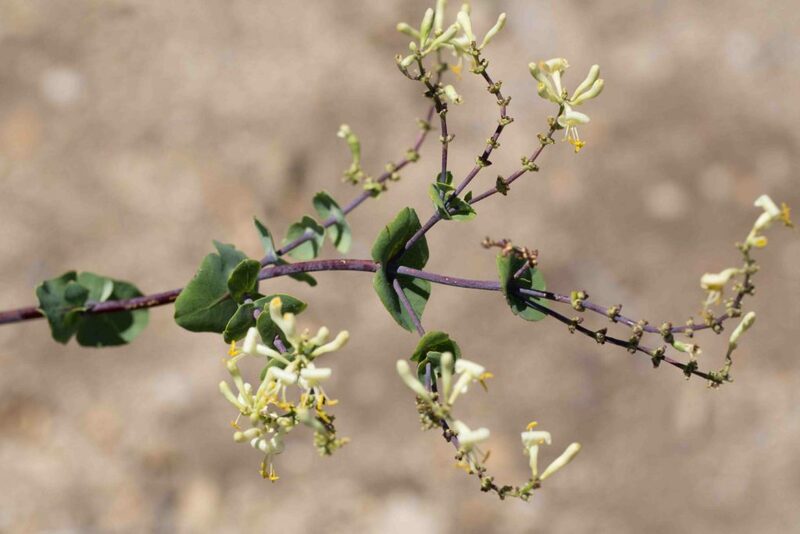 A shrub with climbing to sprawling branches, this has yellow flowers, is almost hairless and lacks stipules on the lower leaves. 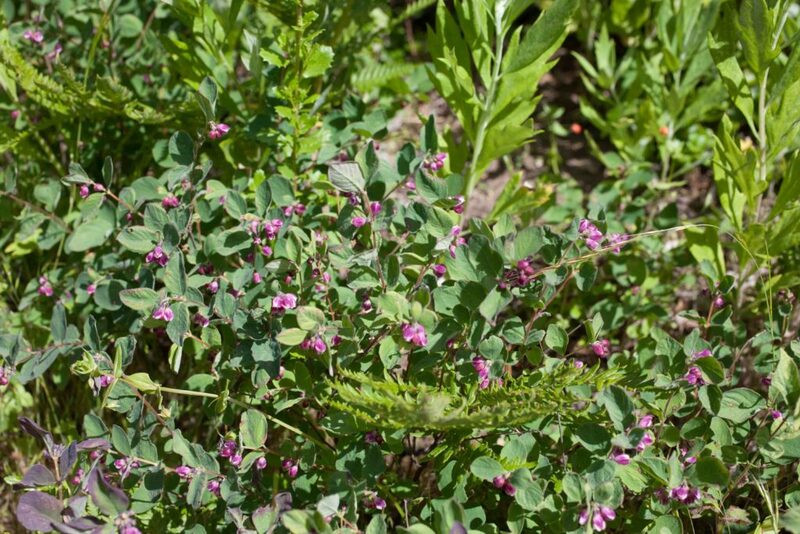 The upper 1–3 pairs of leaves are fused around the stem. 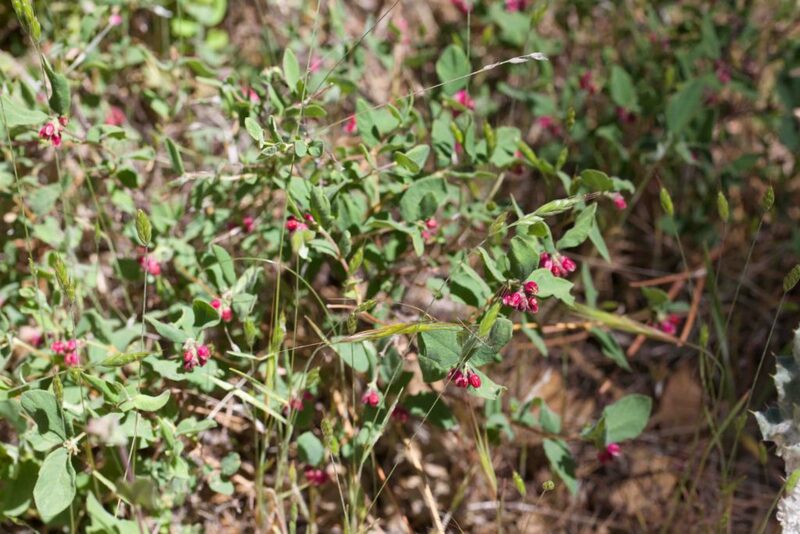 Fruits are similar to Hairy Honeysuckle, clear red berries about 1 cm in diameter, ripening on late summer to fall. 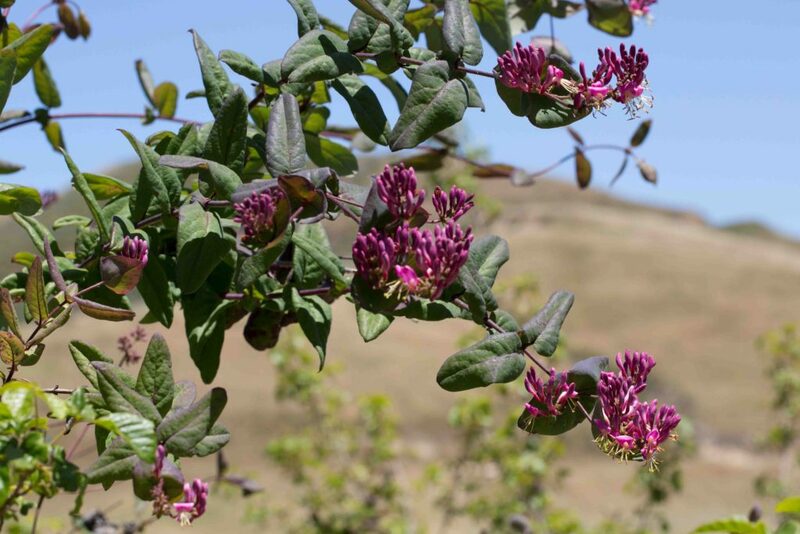 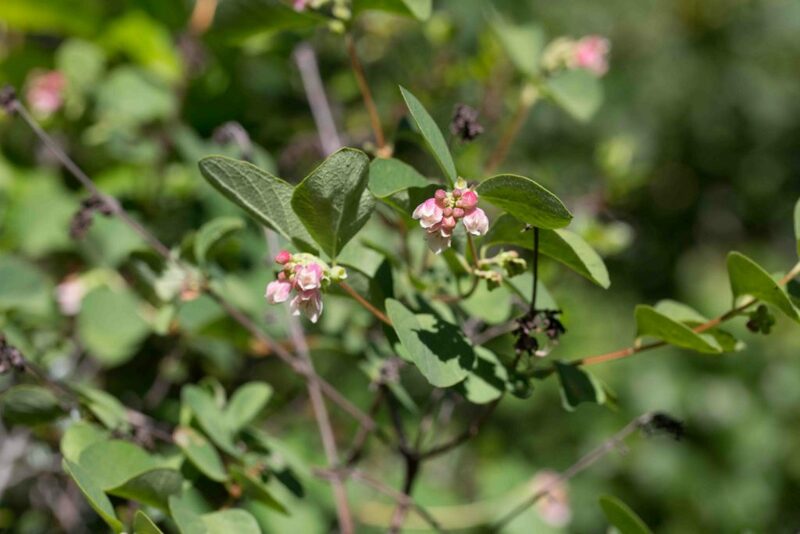 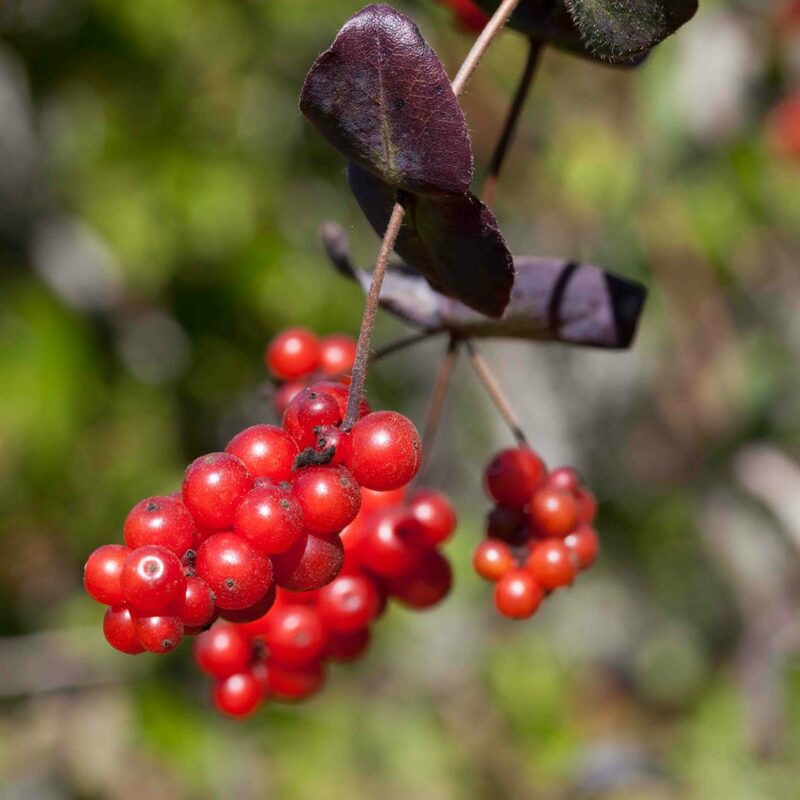 A common shrub with long climbing and twining branches, this has pink flowers which go on to produce bright red berries in late summer to fall. 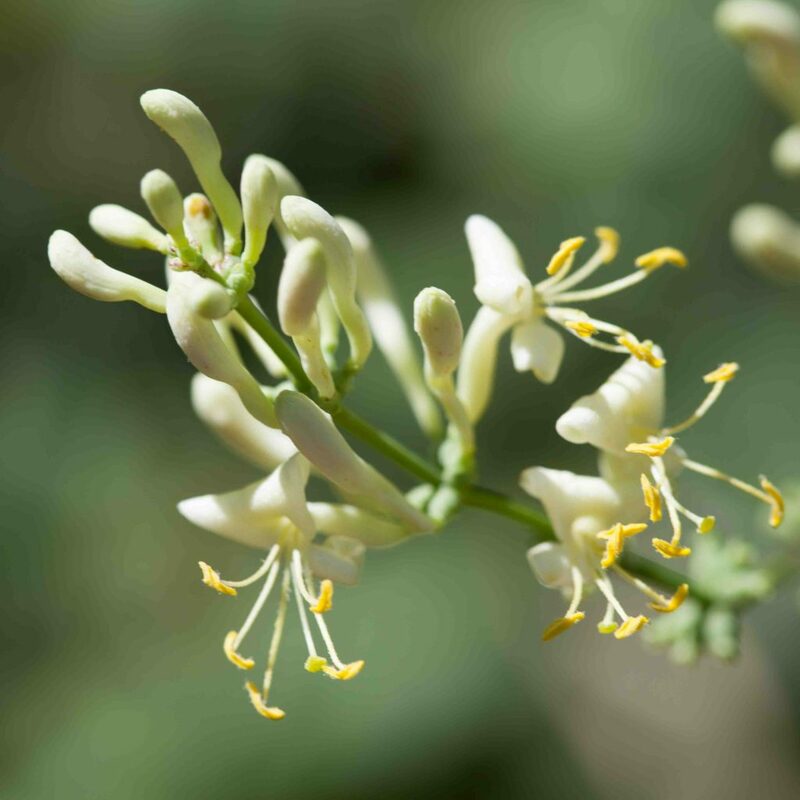 The hairiness in the plant’s name reflects the hairs on the flowers themselves, not on the leaves which may be either hairy or glabrous. 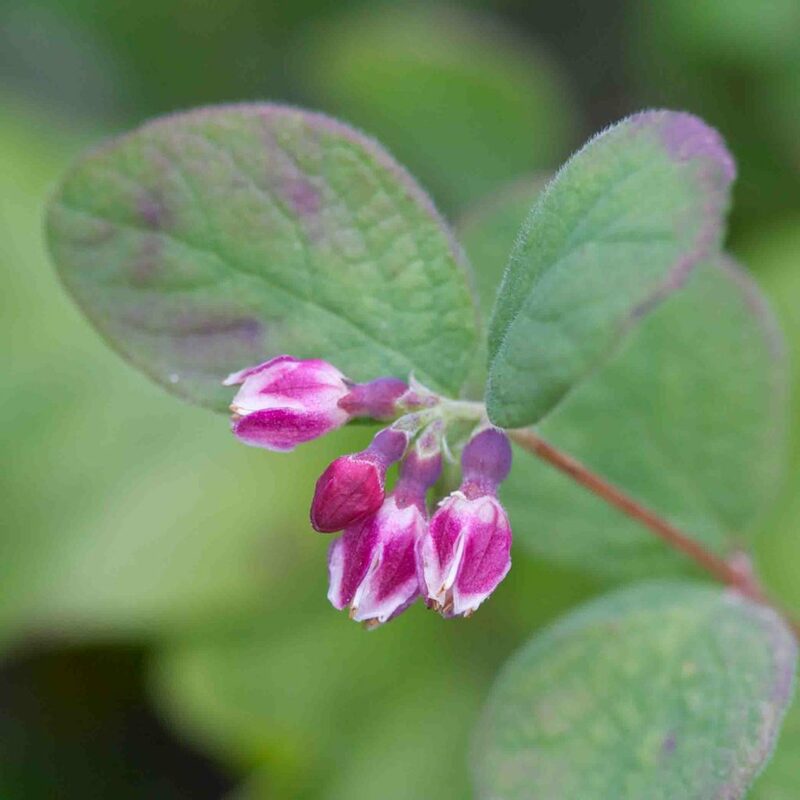 The upper leaves are fused around the stem, the lower leaves have prominent leaf-like stipules. 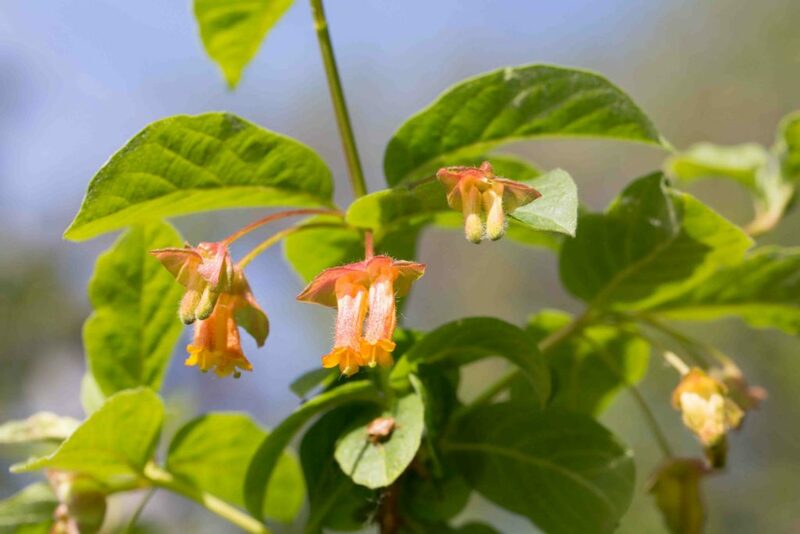 An erect, large shrub with distinctive paired tubular flowers, reddish-orange with flared yellow tips. 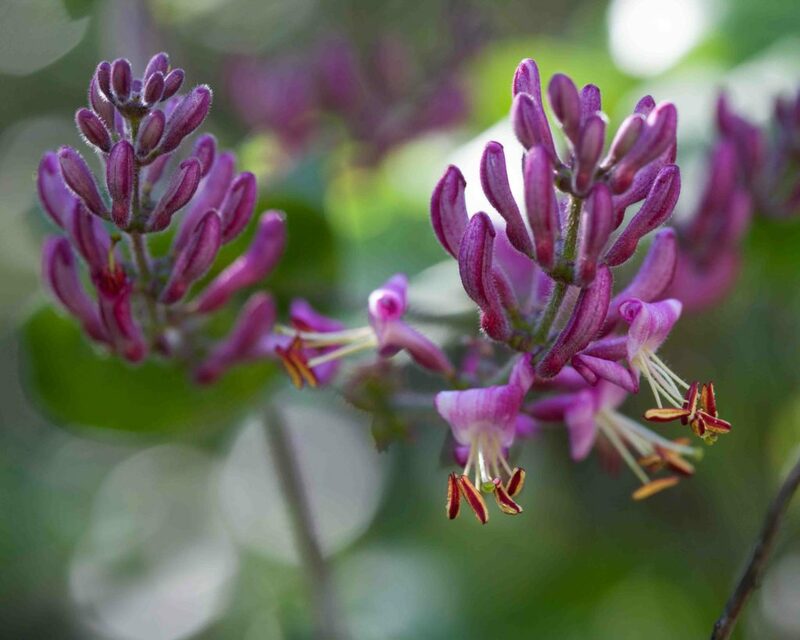 Each flower has a persistent orange-red, leaf-like bract. 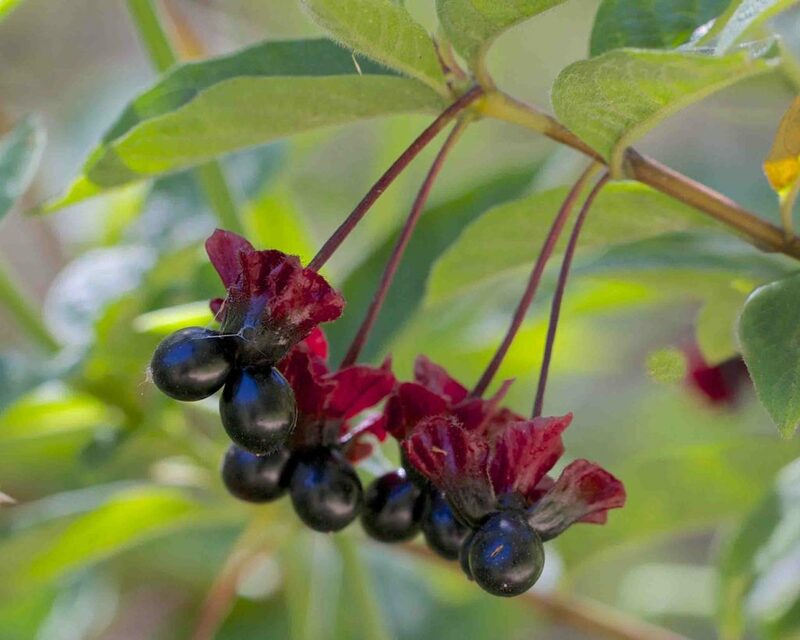 When the black berries have formed, the bracts become enlarged and turn deep red or purple, forming an attractive collar below the fruits. 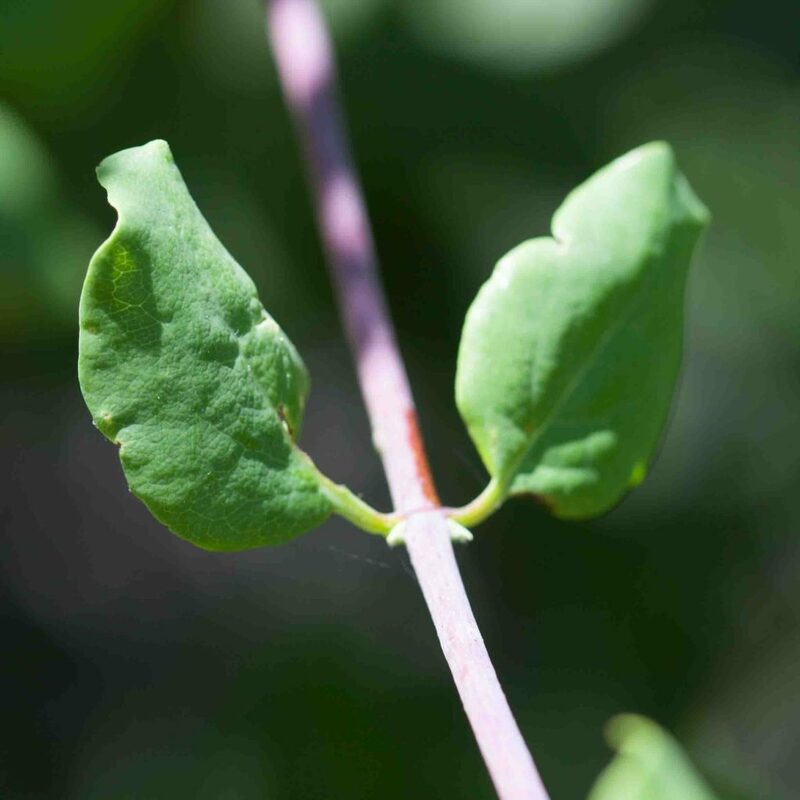 The leaves are glandular, opposite and sparsely hairy, elliptic to ovate in shape. 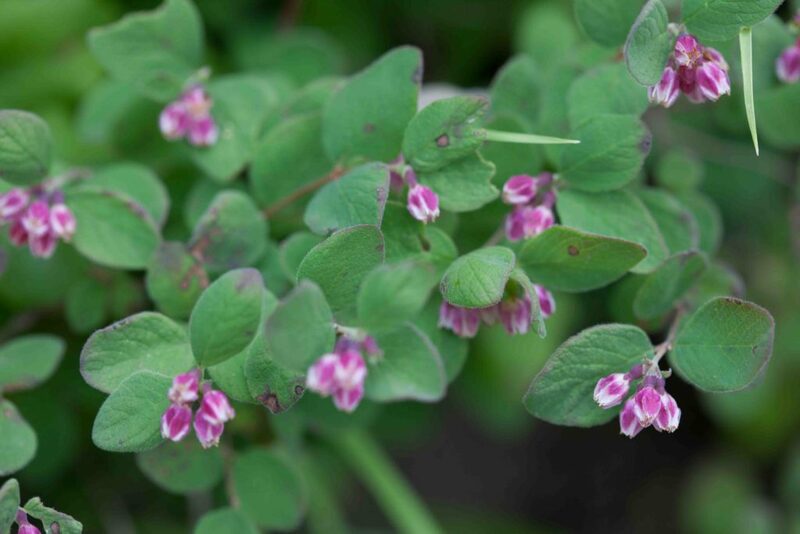 A common, straggly shrub with clusters of 8– 16 inconspicuous pink bell-shaped flowers followed by small white poisonous berries which remain on the bush throughout much of the following winter. 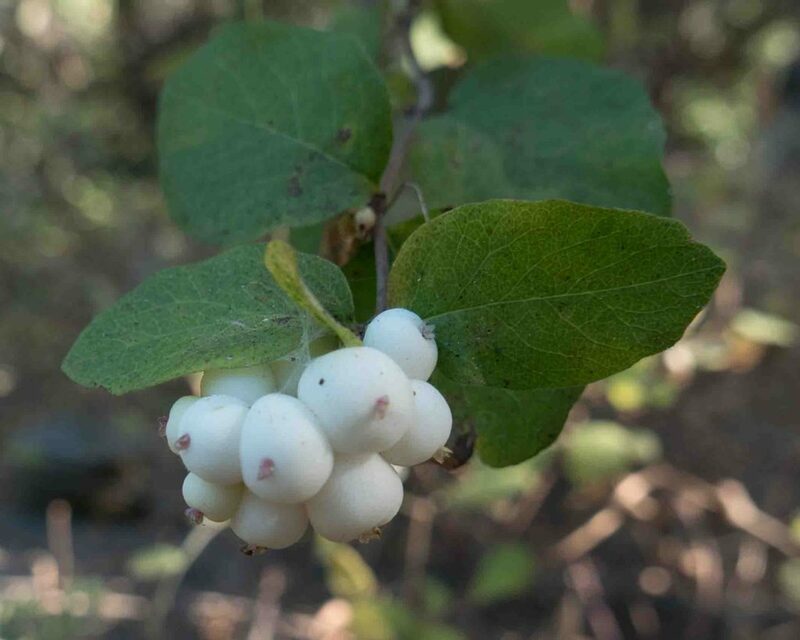 The inside of the berries resembles snow, providing an extra justification for the common name. 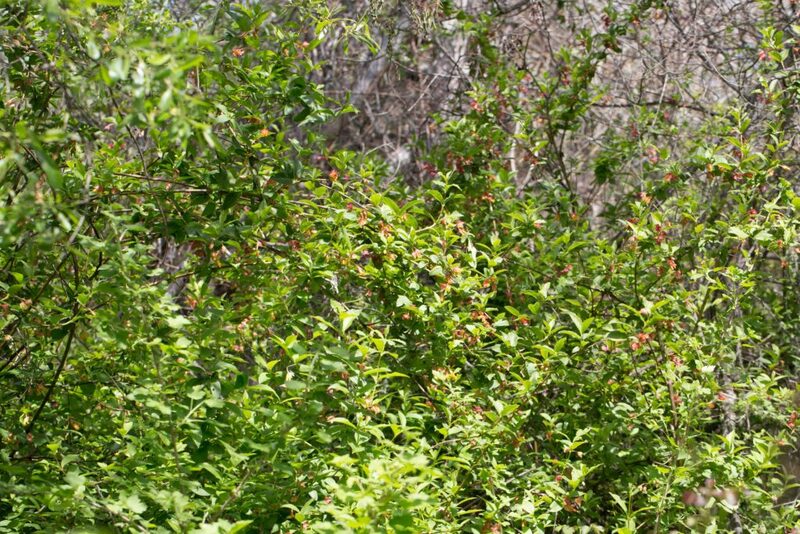 Leaves are elliptic to round. 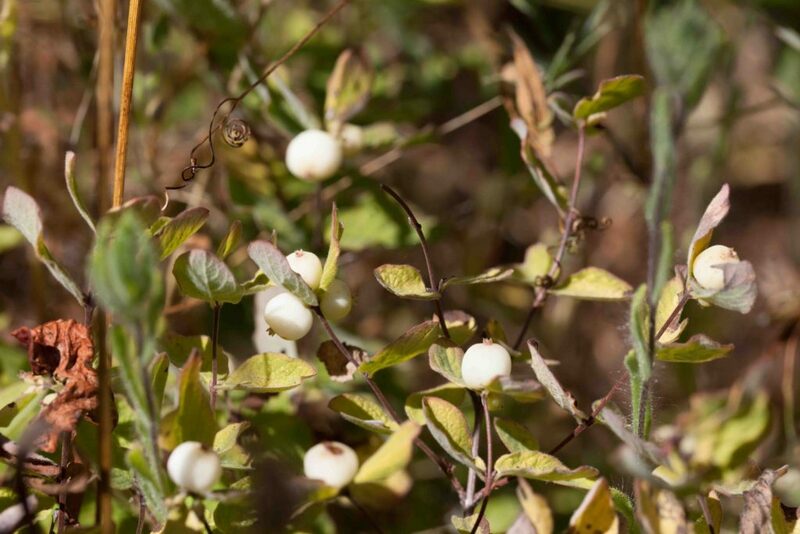 Leaves and flowers are very similar to CommonSnowberry (Symphoricarpos albus). 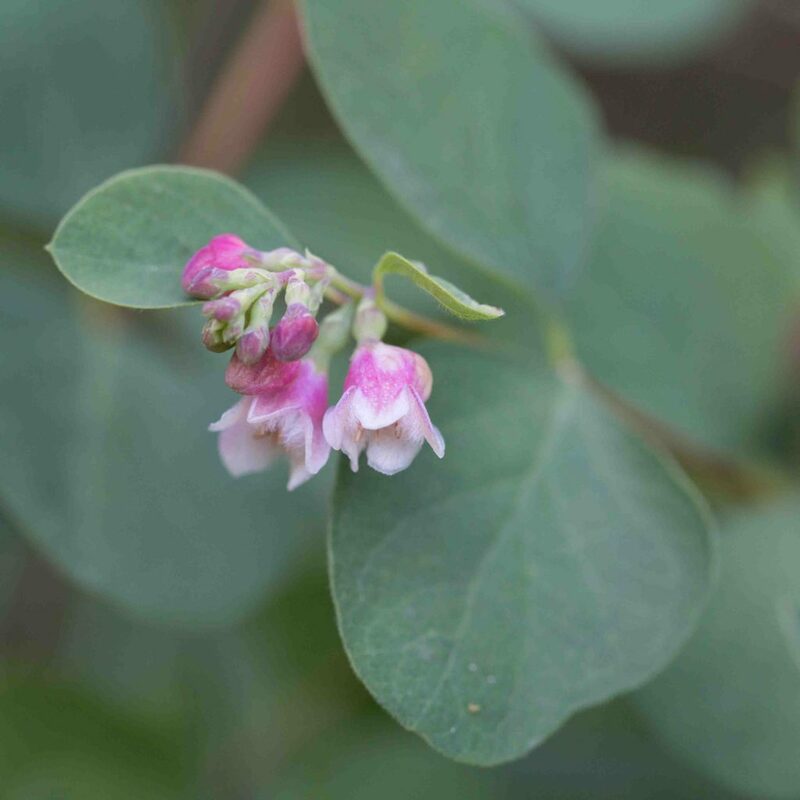 The flowers are in smaller clusters with only 2–8 flowers and the whole plant has a lower, more sprawling growth habit.